The Old City of Nazareth in Israel is an ancient hub that is being rightfully revived, says Jael Silliman. 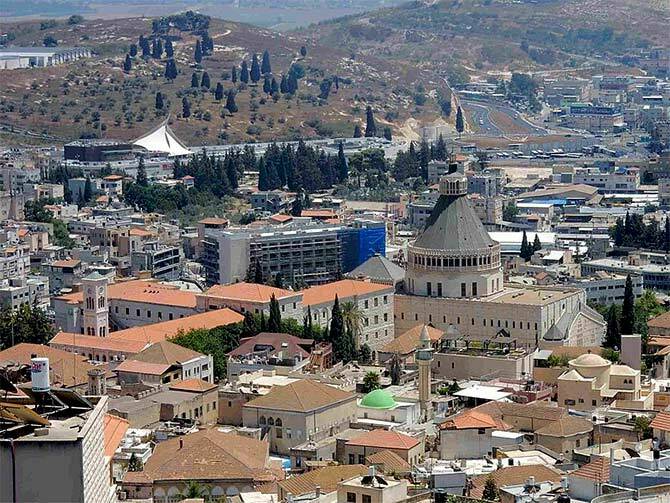 Nazareth is Israel's largest Arab city and is located in the fertile Jezreel valley. Though its population is 70 per cent Muslim and only 30 per cent Christian, it is home to major Christian sites. 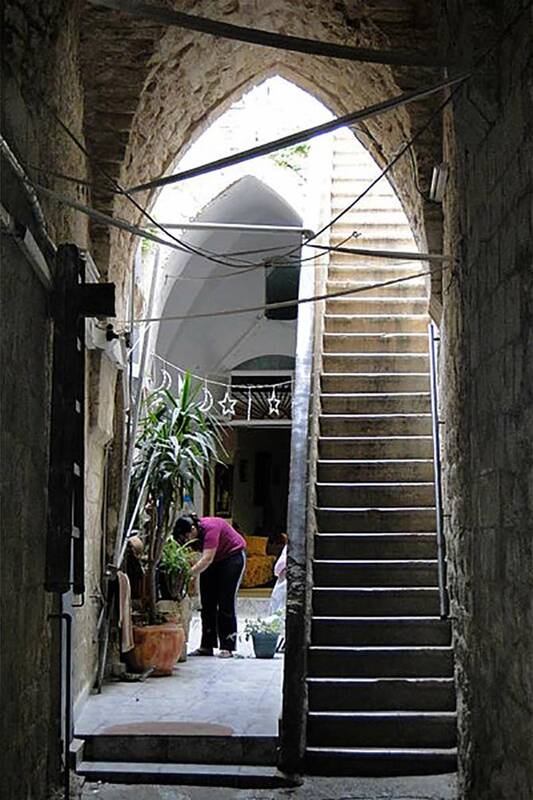 The Old City has three quarters -- Orthodox in the north, Latin in the south-west and Muslim in the east. The Basilica of the Annunciation in the Old City draws buses of Christian tourists from around the world. The Old City was in decay and abandoned in the 1990s, but is in the process of being rejuvenated and is awaiting a tourist revival. 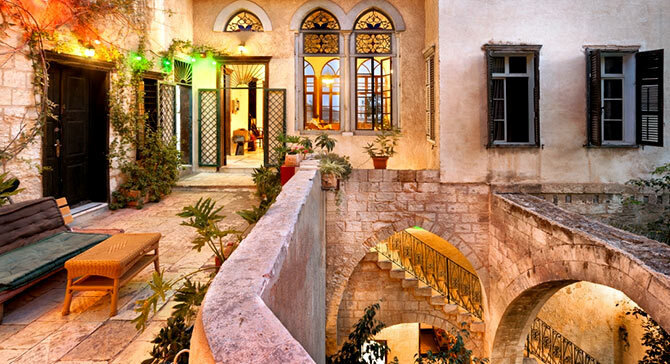 I stayed in the heart of the Old City, in Fauzi Azar by Abraham Hostels, an inn that was once a stately Arab home. In the late Ottoman period, men like Fauzi Azar became wealthy from trade and began to build elaborate homes with lavish decor. The home has a large central hall up a steep set of stairs. The hall features triple arched windows, floors made of marble from Marmara, wood imported from the Taurus mountains and stained glass from Belgium and Germany. Elaborate European-style murals painted by Lebanese artists adorn the ceilings. Azar died in a tragic fire in his home leaving behind a wife and five daughters. Like much of the Old City, the villa was abandoned in 1980. 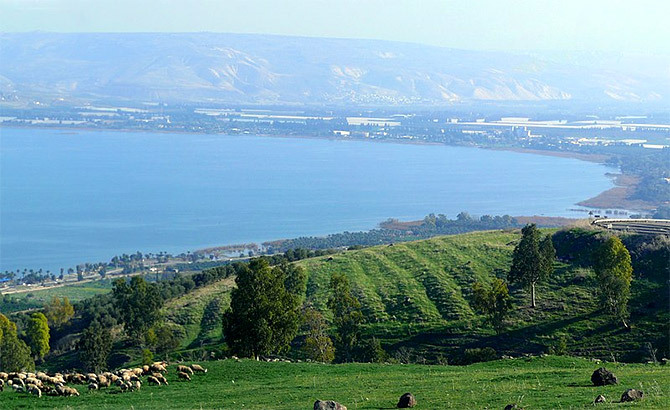 In 2004 a young Israeli slowly restored the structure and it became a staging point for the 'Jesus Trail' -- hikers walk 37 miles in the footsteps of Jesus, ending in Capernaum on the shore of the Sea of Galilee. Today, Azar's granddaughter, Suraida Shamar Nasser, is the inn's manager. One steps out onto old stone streets with tracks for donkey carts, arched walkways and old homes made from limestone with tall staircases. 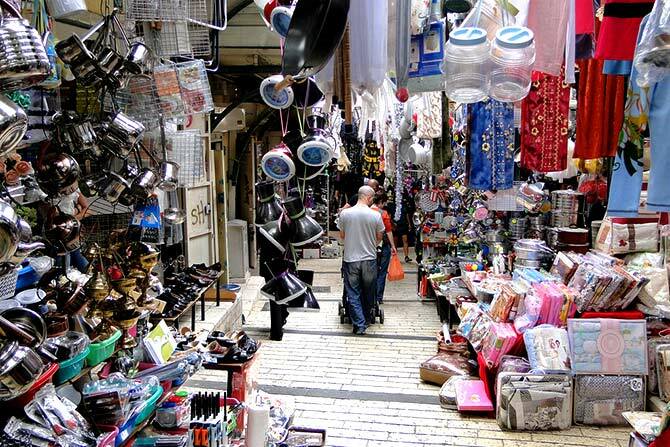 The once-famed souk still caters to residents and to the few tourists who stay overnight in Nazareth. Around the corner is the Basilica, St Gabriel's Greek Orthodox Church and the small cave synagogue church where Jesus preached. 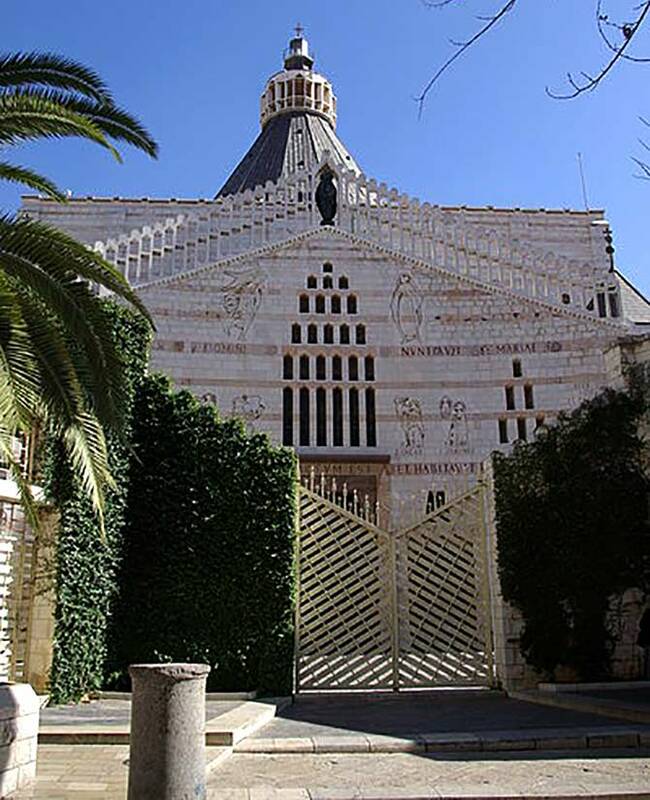 The Basilica, completed in 1969, is built over the site that Catholic tradition considers the home of Virgin Mary, where the angel Gabriel is said to have announced she would conceive the Son of God. Earlier it was the site of a Byzantine-era church built by Emperor Constantine 1, itself built over a fourth-century shrine. 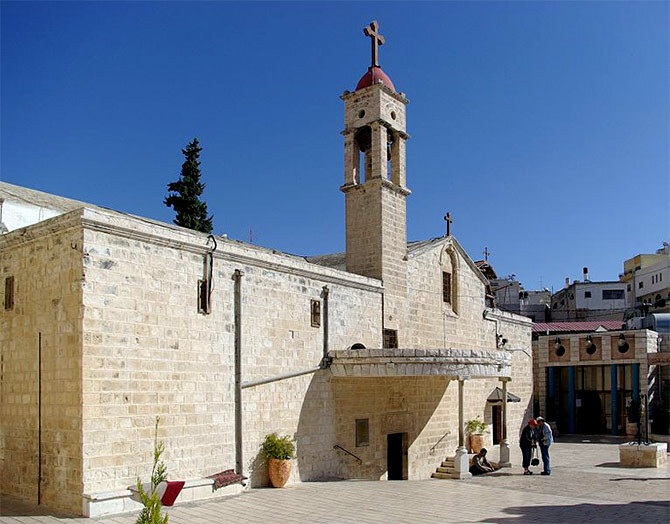 The Crusaders, following the conquest of Nazareth in 1102, did not complete rebuilding the older church that had suffered a series of attacks. The church was demolished in 1954 to construct the new Basilica designed by the Italian architect Giovanni Muzio, where both sets of ruins are integrated into this magnificent, spacious, very modern structure. The courtyard and interior have paintings and mosaics of Mother Mary gifted from Christian communities across the world. 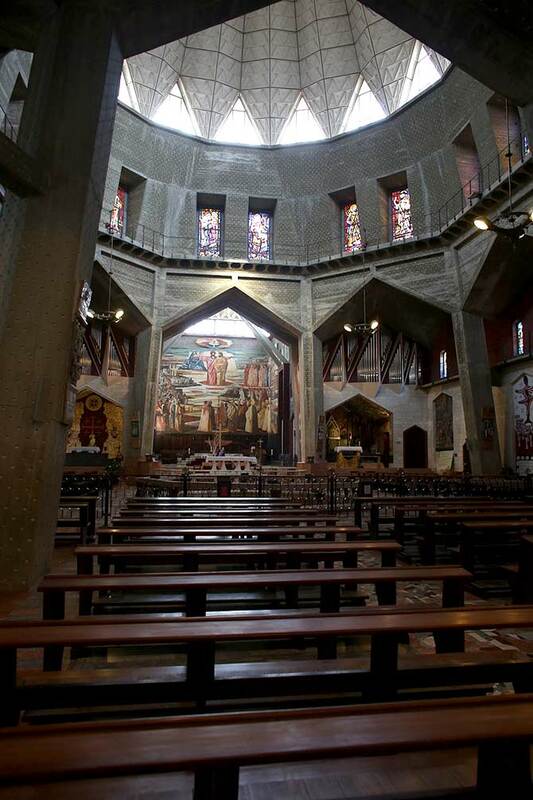 In 1964 Pope Paul VI dedicated the Basilica to the largest Christian sanctuary in West Asia. 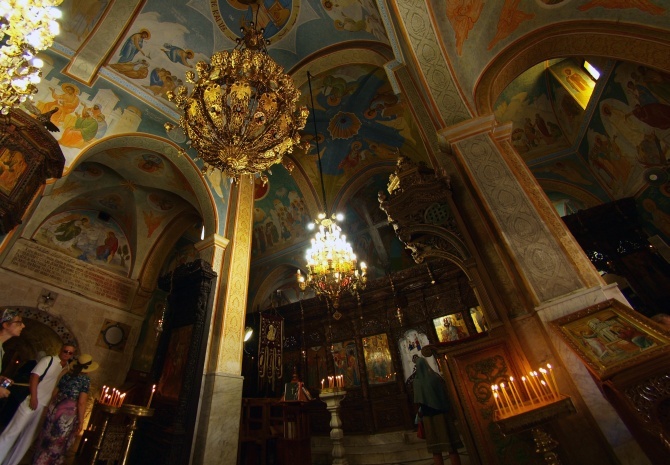 The Greek Orthodox Church believes that Mary was drawing water from a local spring when she received Gabriel's message. This much smaller but exquisitely ornate Church of Saint Gabriel, covered with gilded paintings from ceiling to walls, also has elaborate filigreed golden-coloured chandeliers. It was built over an underground spring in 326 CE, during Emperor Constantine's reign, destroyed in 614 CE and rebuilt in 1103--1109. It was destroyed yet again and rebuilt in 1628-1634 and expanded in 1741. The spring water still runs under the apse of the church where pilgrims genuflect believing that the water is holy. Not far is the small synagogue church, a Melkite Greek Catholic Church, where Jesus is believed to have preached. 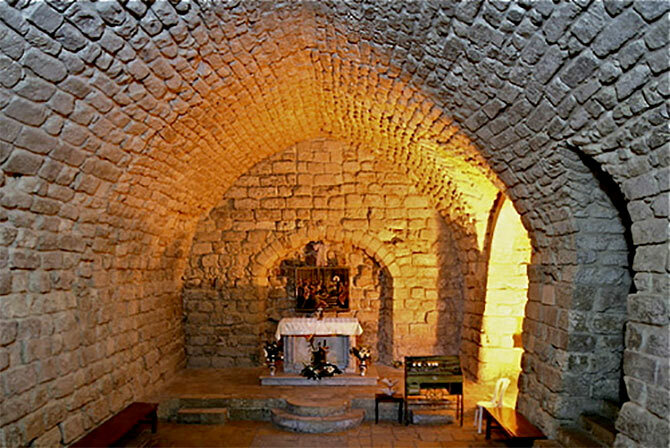 This modest church is built in a cave. 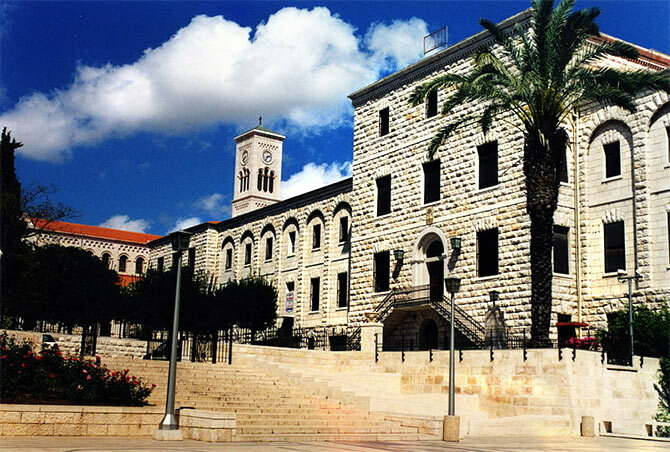 The Franciscan monastery, built in 1620, after receiving permission from the Druze Emir Fakhr Al Din to return to the City and settle following expulsions by the Mamluks, is one of the largest and most impressive buildings in the Old City. Destroyed in 1930 and rebuilt, it housed one of the oldest pharmacies in the region until the beginning of the 19th century. The monastery was a hostel for pilgrims, including Napoleon who stayed after defeating the Ottoman army in the Jezreel Valley. 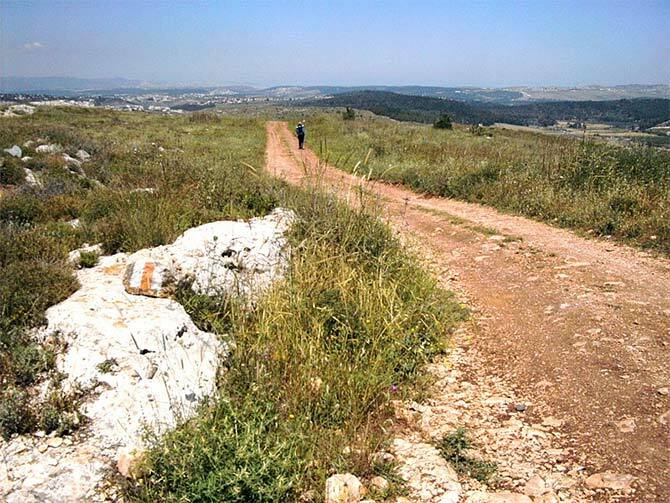 The road to Haifa built in 1875 transformed Nazareth into an economic and commercial hub in the Galilee region. Nazareth's bazaar was famed for its produce, and for its bridal market that brought clients from Syria and the surrounding regions to shop for bridal trousseaux. Walking through the bazaar is akin to taking a journey back in time. One can buy fresh produce, coffee, and baked goods hot out of the oven. Small new boutiques sell handicrafts, handmade jewellery including unique items like necklaces made of cloves and blue beads that brides don to ward off the evil eye. Wisam runs Abu Salaam, his grandfather's 114-year-old coffee shop, where he serves delicacies including ainar, a drink of crushed cinnamon and walnuts. Elderly Nazarenes play cards every day since they were young men -- the loser treats the others to a round of coffee. Dewan Al Saraya serves pancakes and other local delicacies in a shop stocked from arched ceiling to floor with metal ware and musical instruments for viewing only. The Old City has many charms and fully worth the effort of being remade yet again.